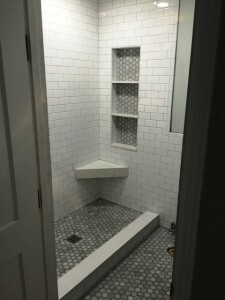 T.F.I. 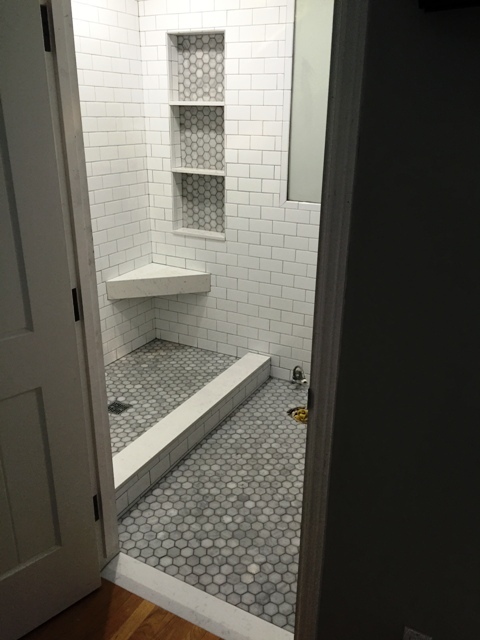 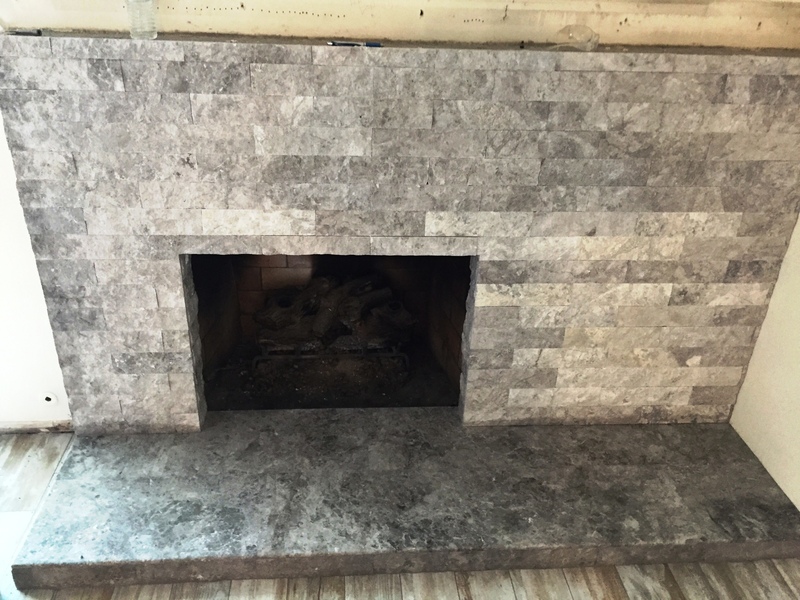 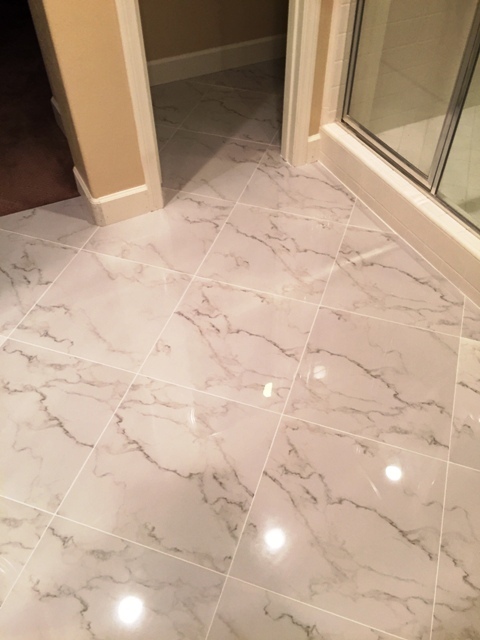 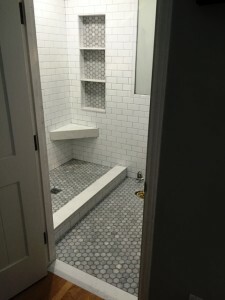 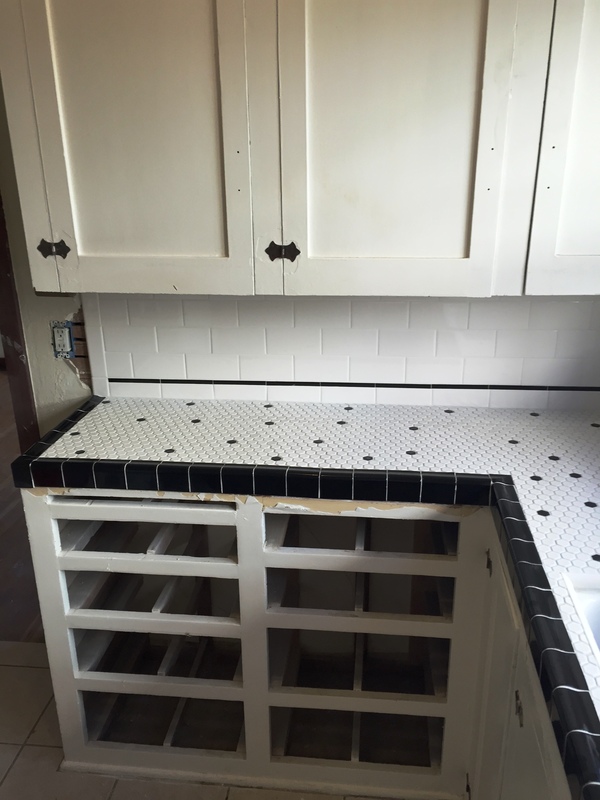 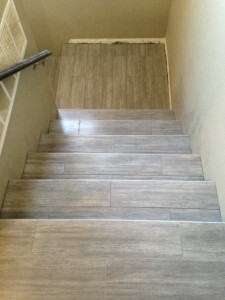 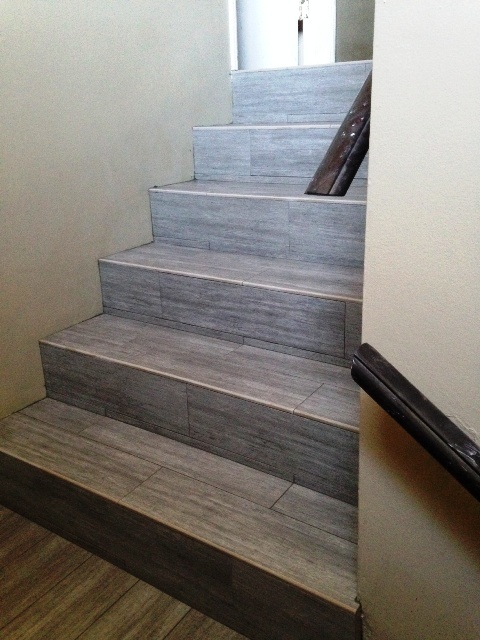 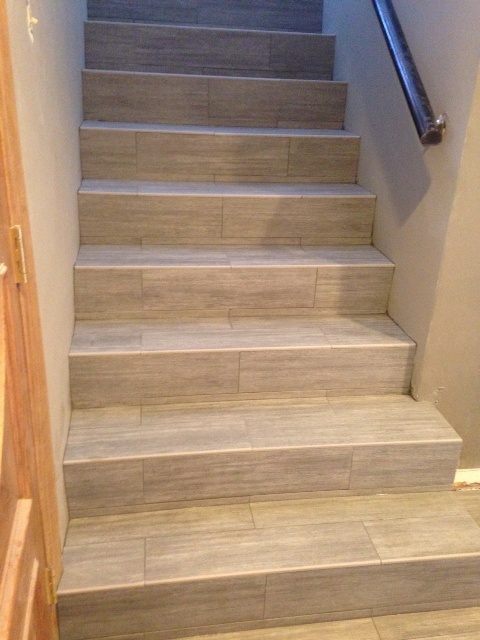 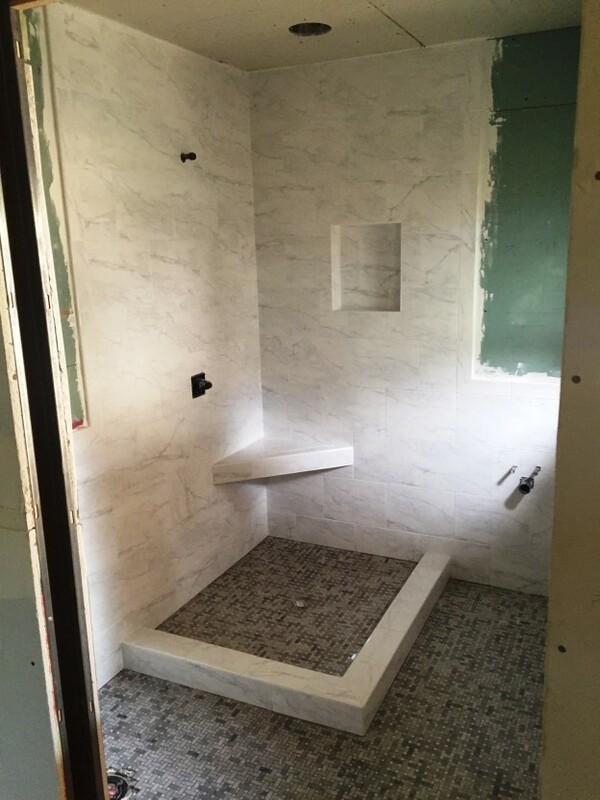 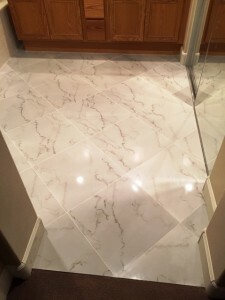 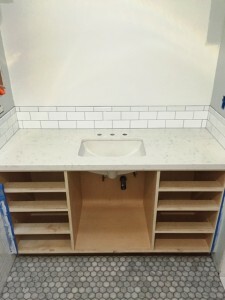 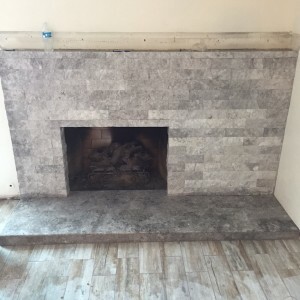 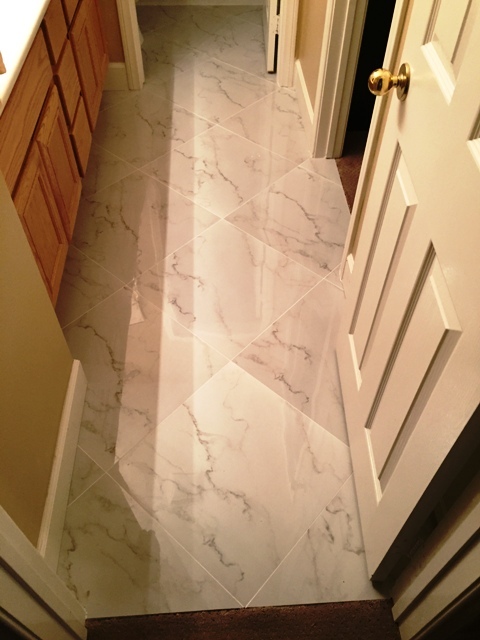 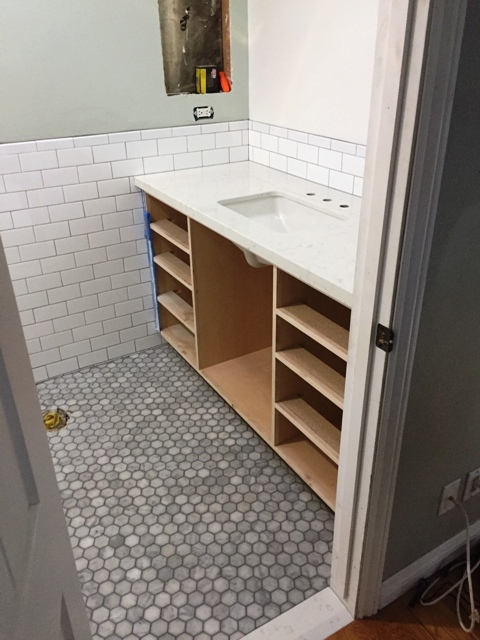 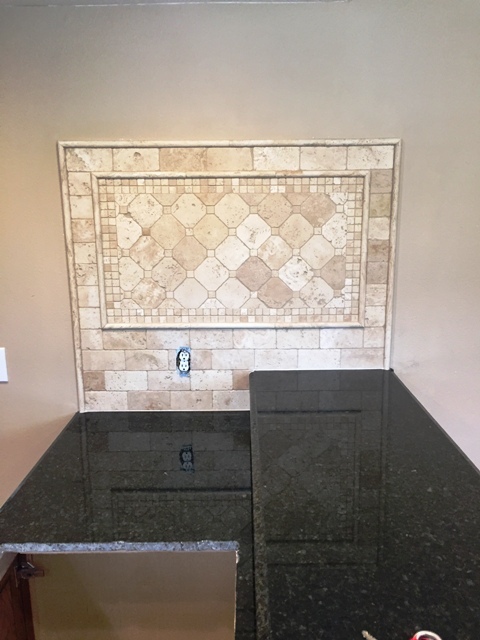 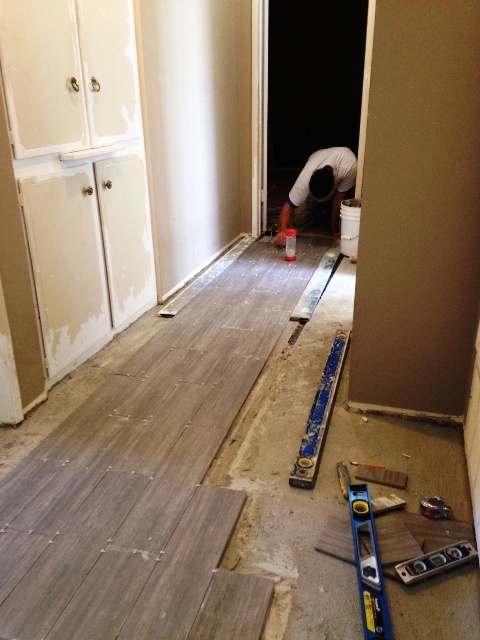 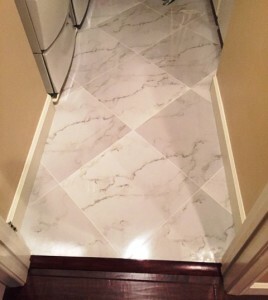 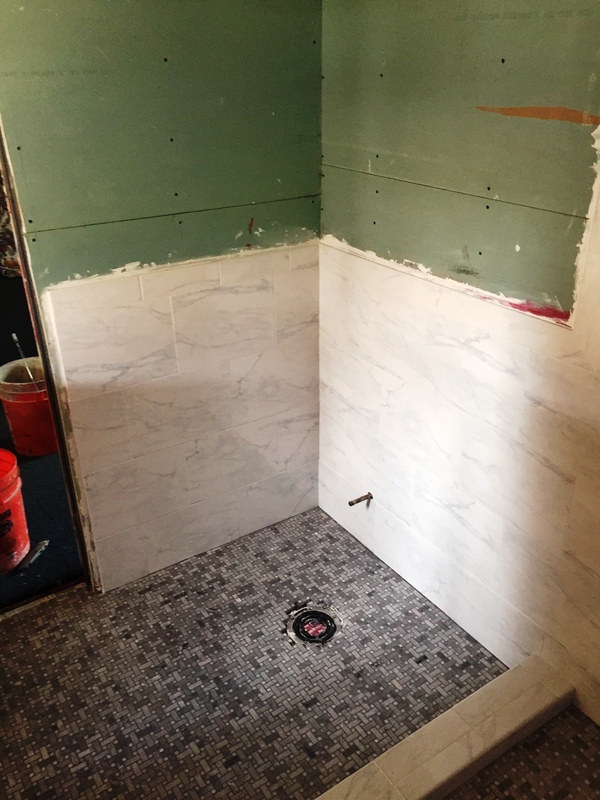 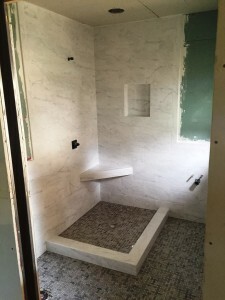 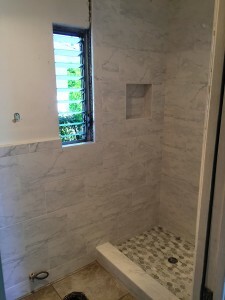 Tile and Marble Design started a project this week in Arcadia, Ca. 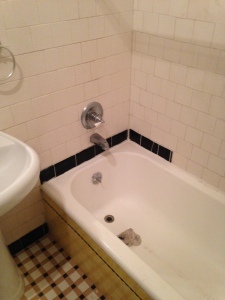 Arcadia is near Monrovia and West Covina, in Los Angeles County. 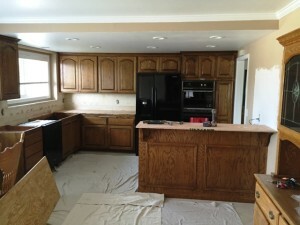 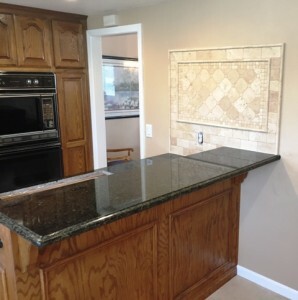 We are affiliated with apartment communities in this area where we often remodel at affordable prices. 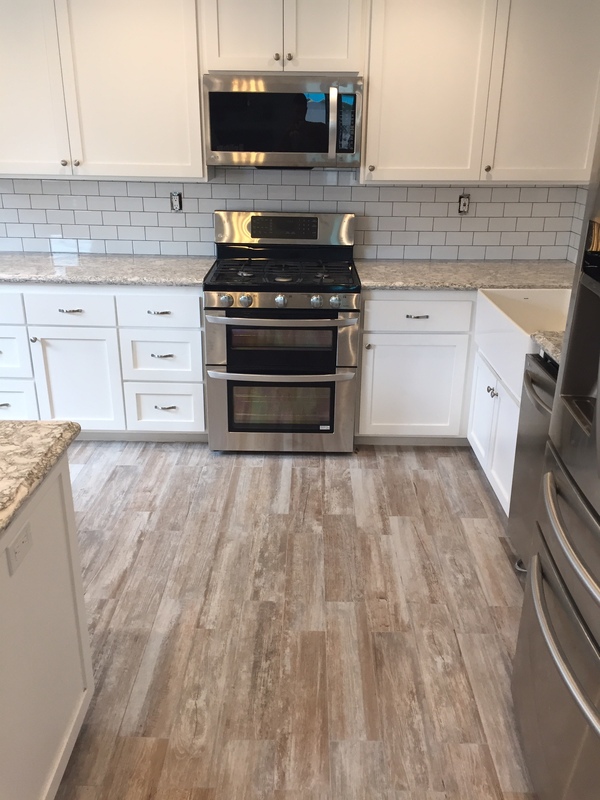 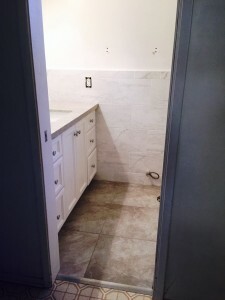 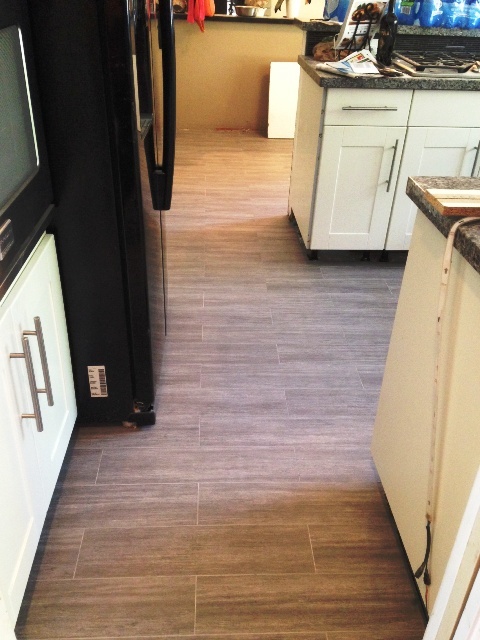 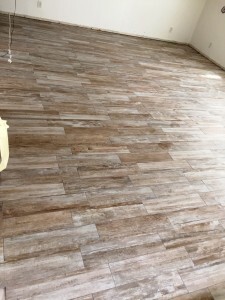 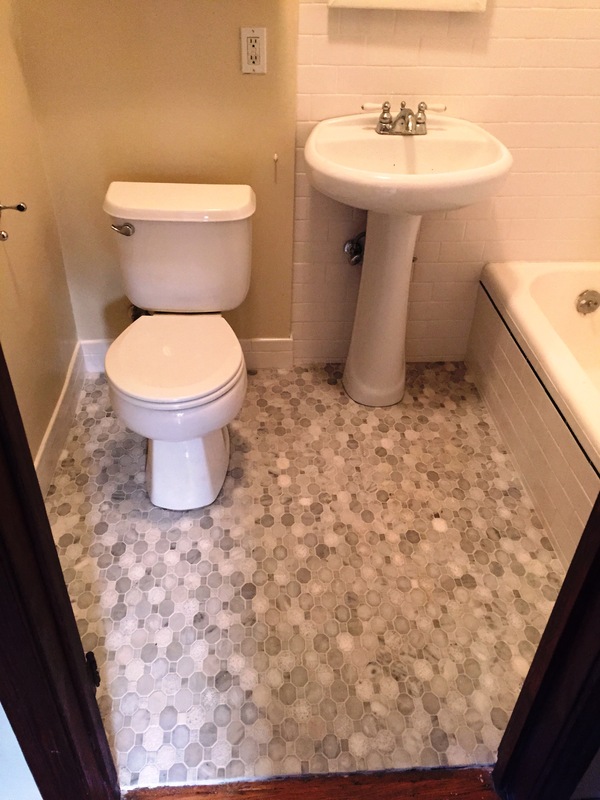 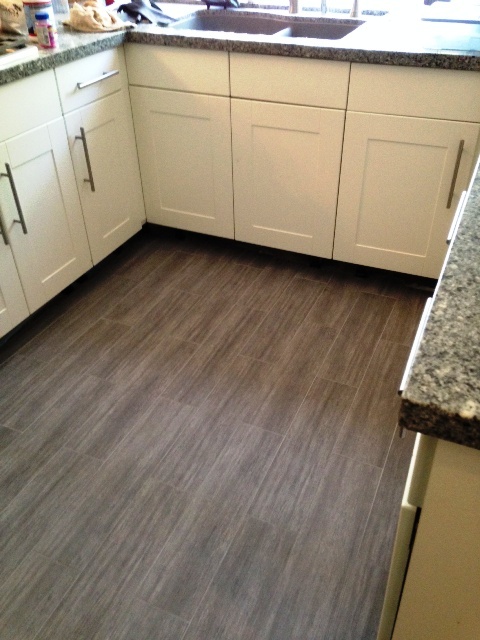 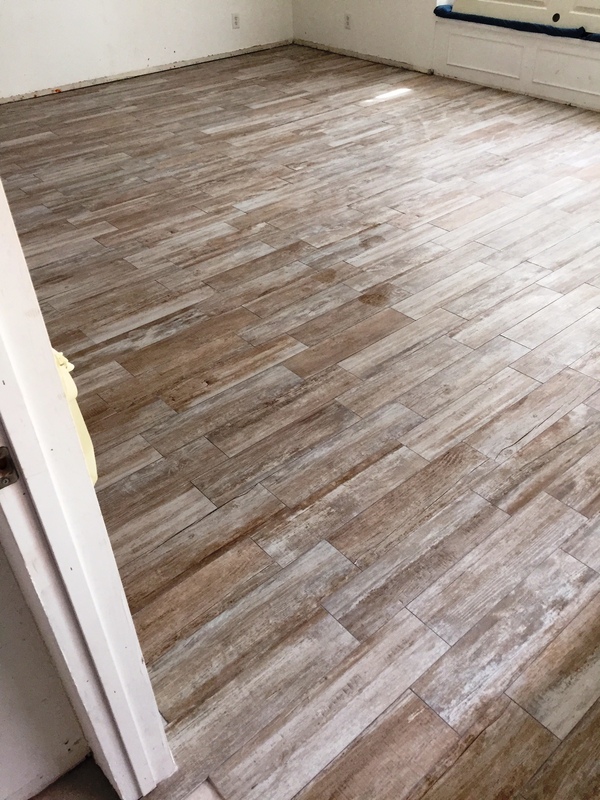 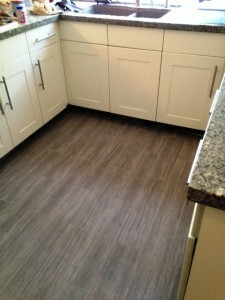 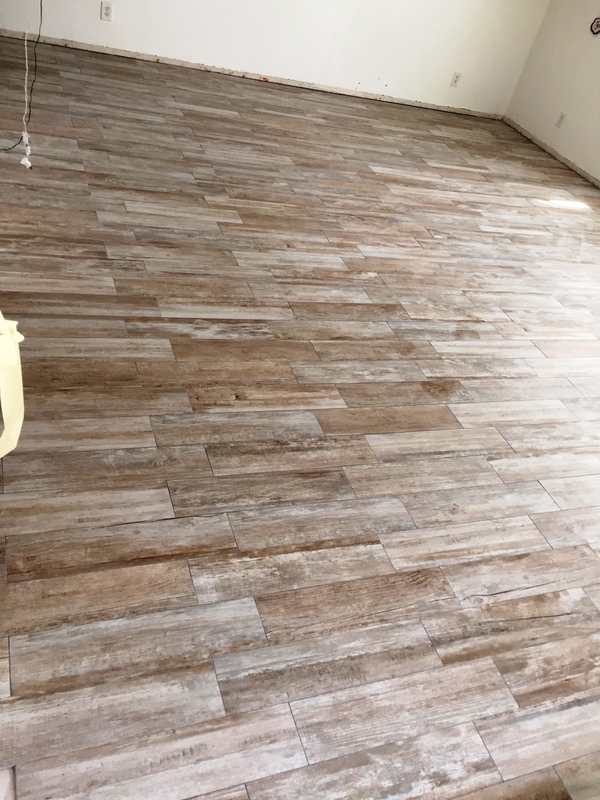 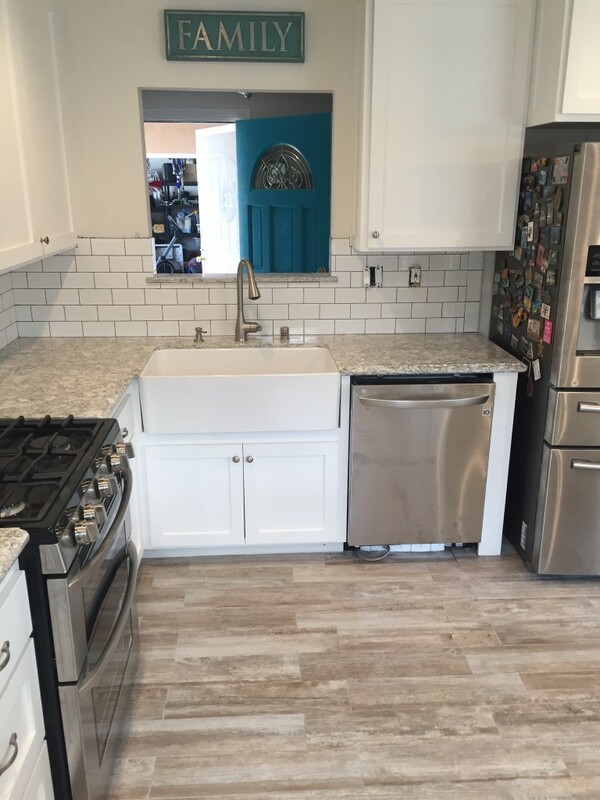 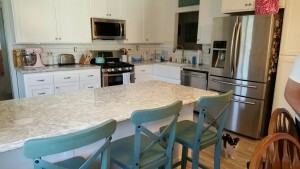 At this specific unit we did the kitchen floor with 18×18 Porcelain Tile from your local Home Depot. We had some challenges with the heavy rain and amount of items in the kitchen that we had to work around. 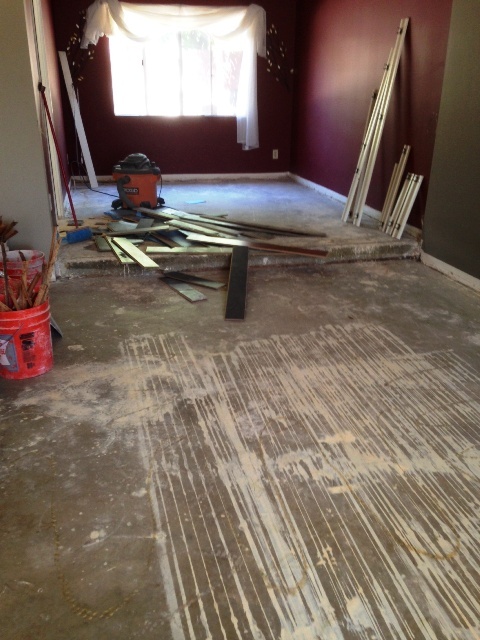 It always helps us when the tenant/homeowner clears the furniture of the room that we will be installing. 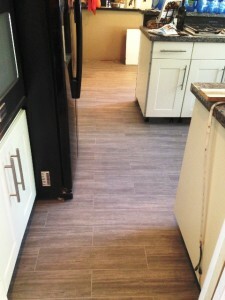 We also make sure to give the client advance notice of what to expect regarding our time in their home. 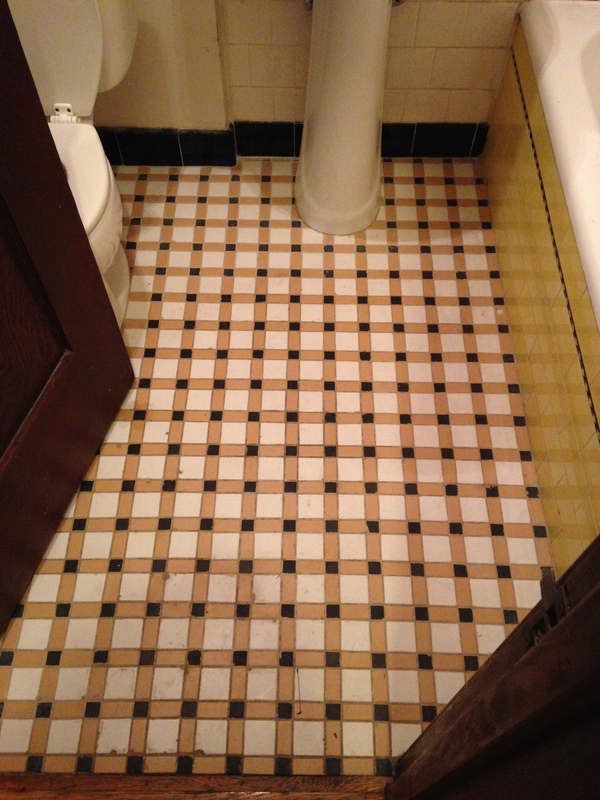 There are no surprises. 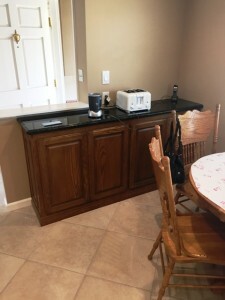 There has been occasions where we find ourselves spending time clearing furniture and/or appliances. 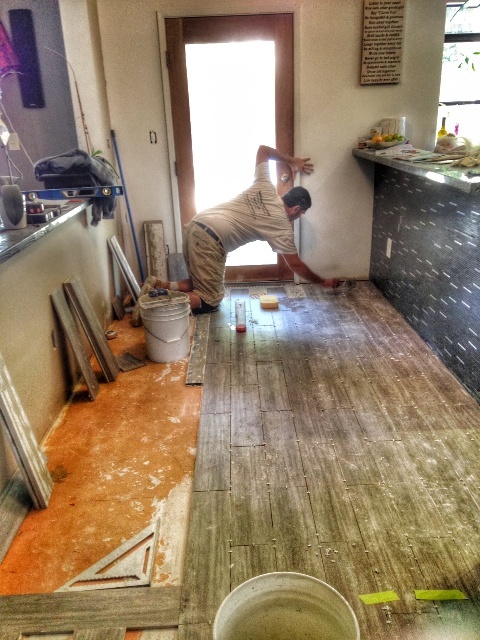 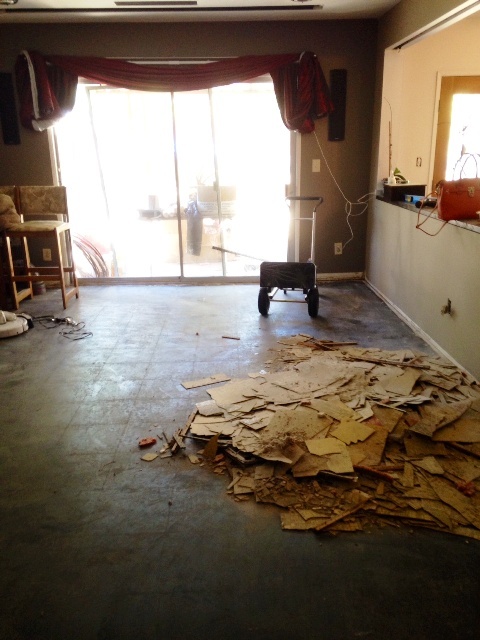 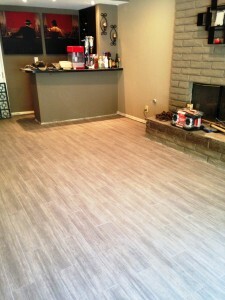 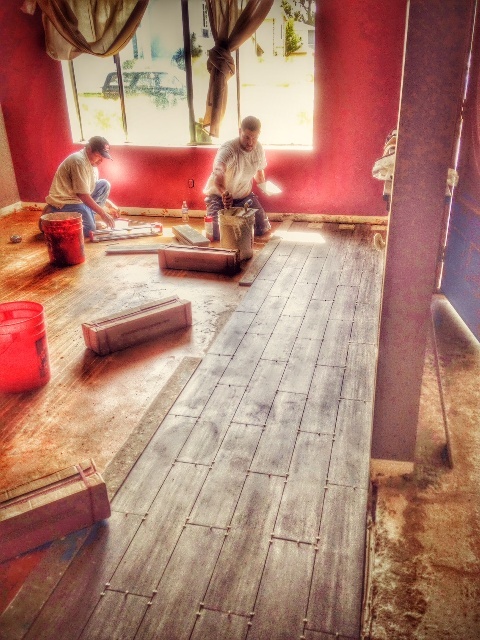 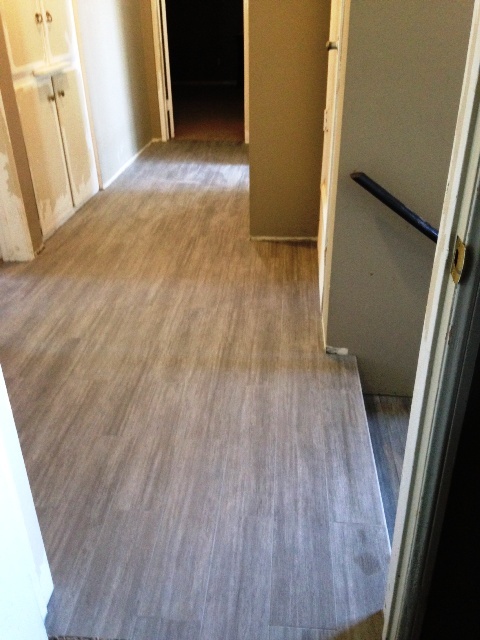 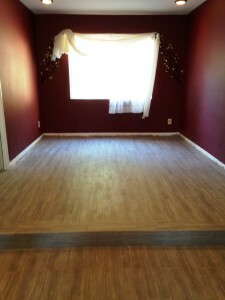 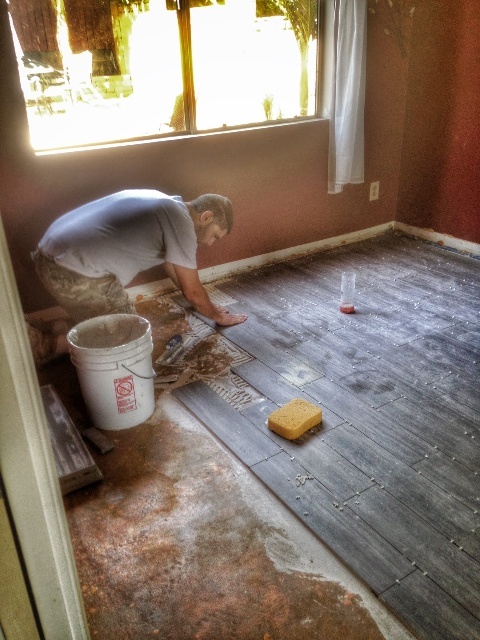 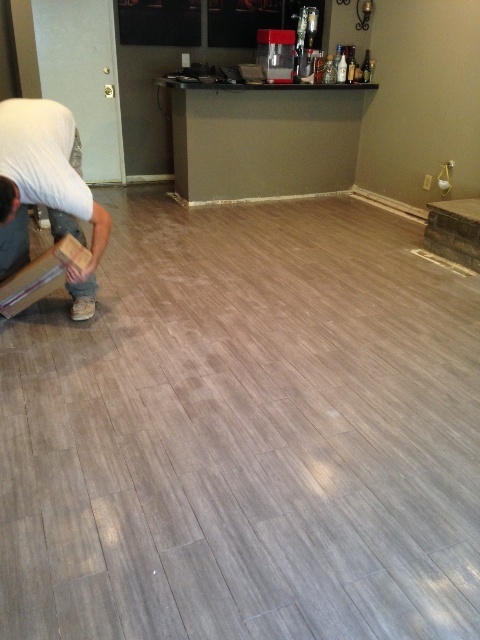 We removed the 5 layers of existing Linoleum flooring to reach the concrete sub flooring. 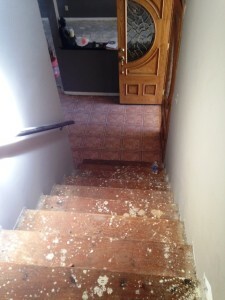 We checked the slab for cracks and noticed everything was intact. 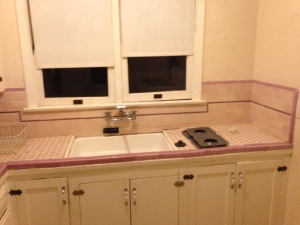 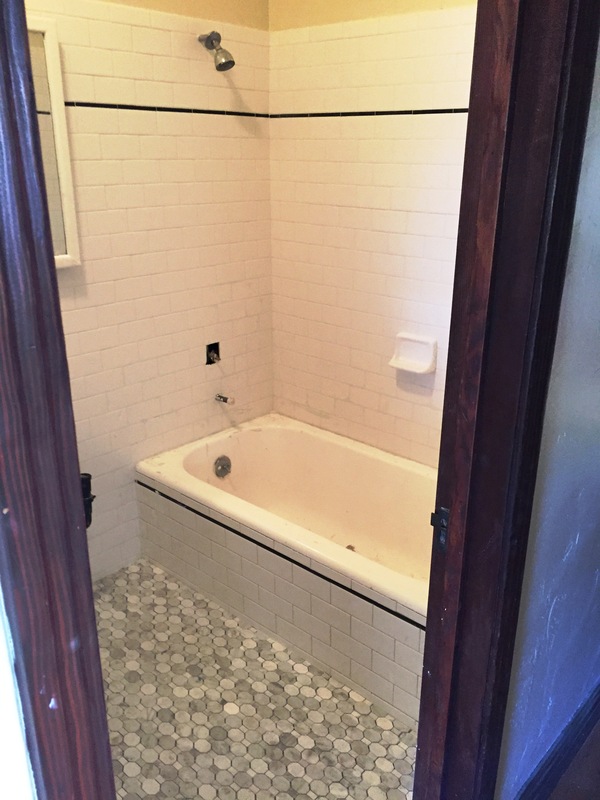 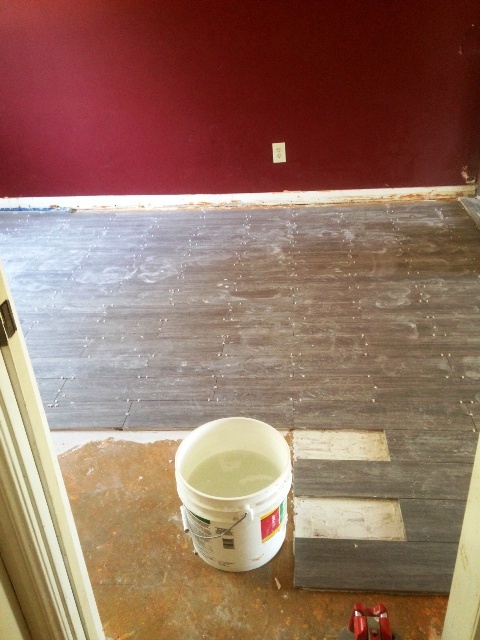 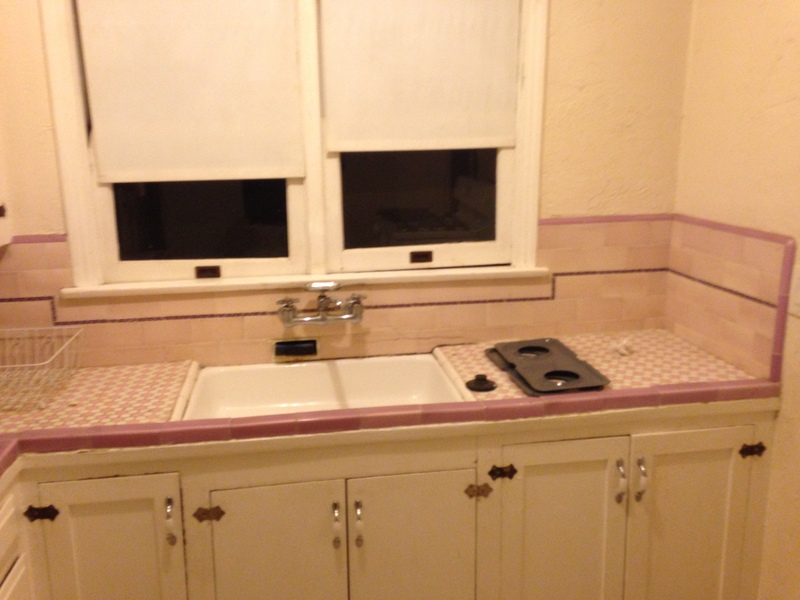 Over the years they would install another layer of Linoleum. We load up and haul away any debris. 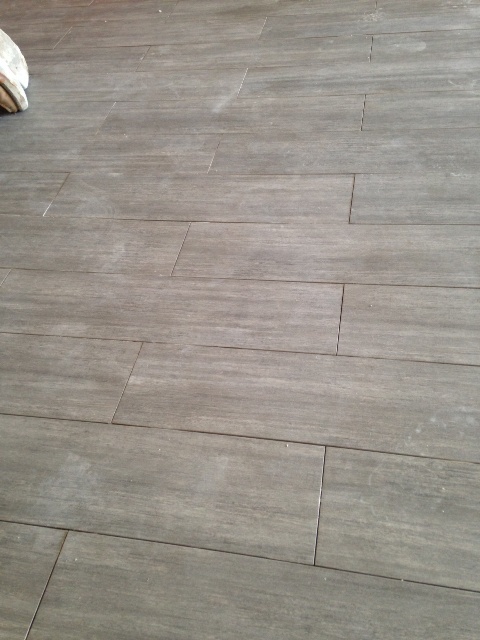 Tile is now ready to install. 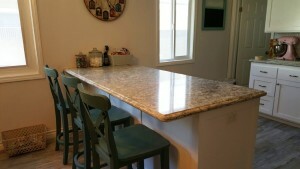 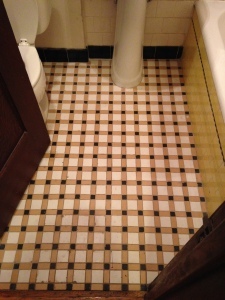 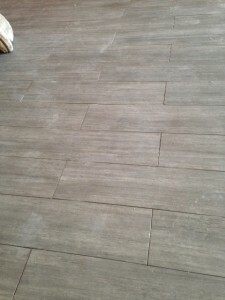 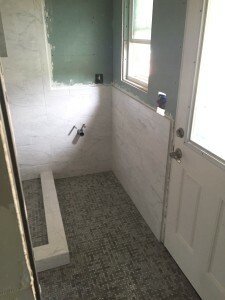 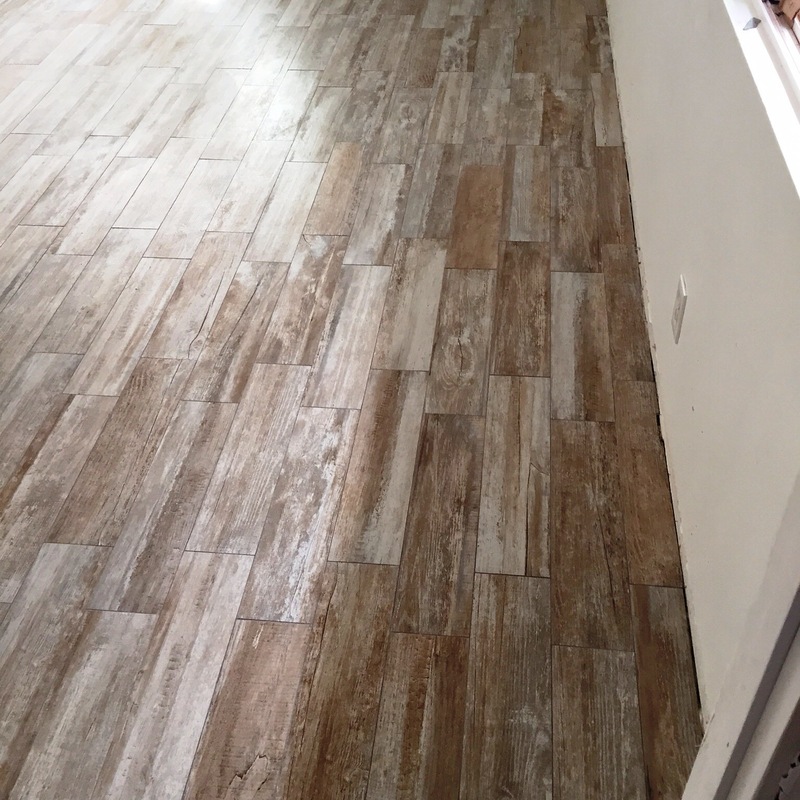 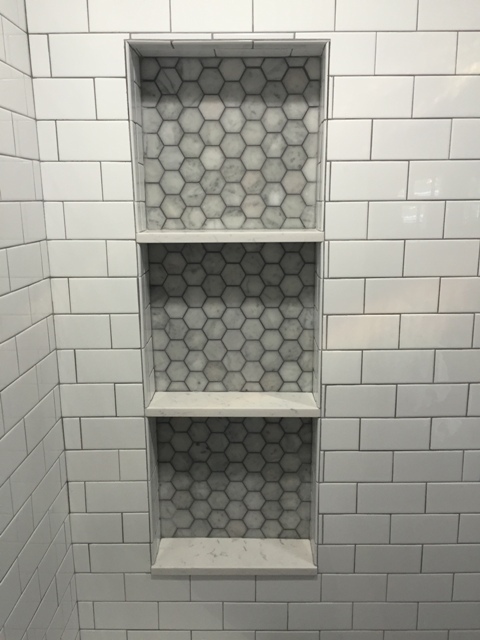 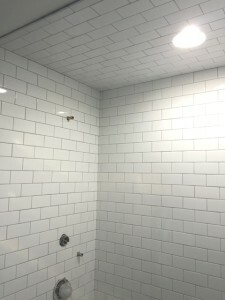 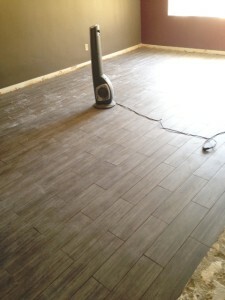 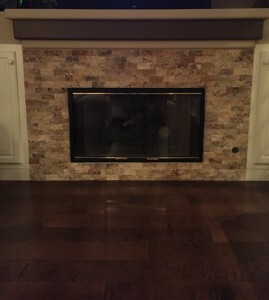 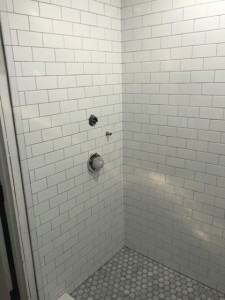 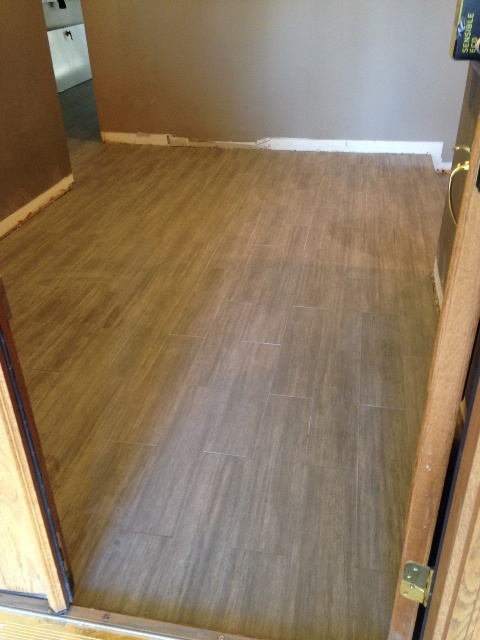 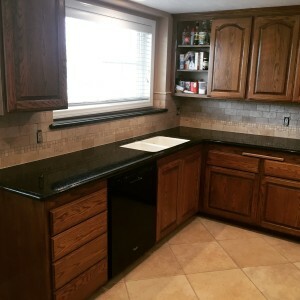 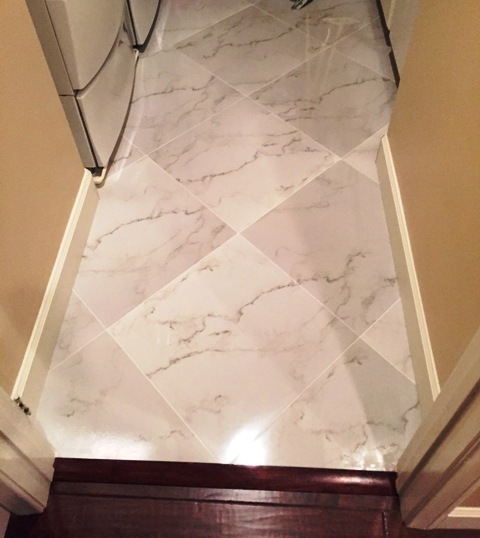 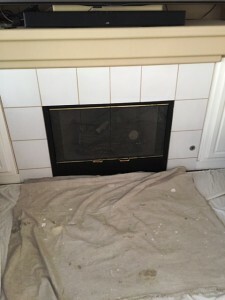 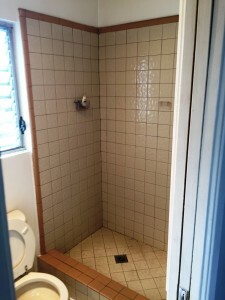 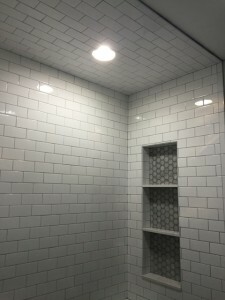 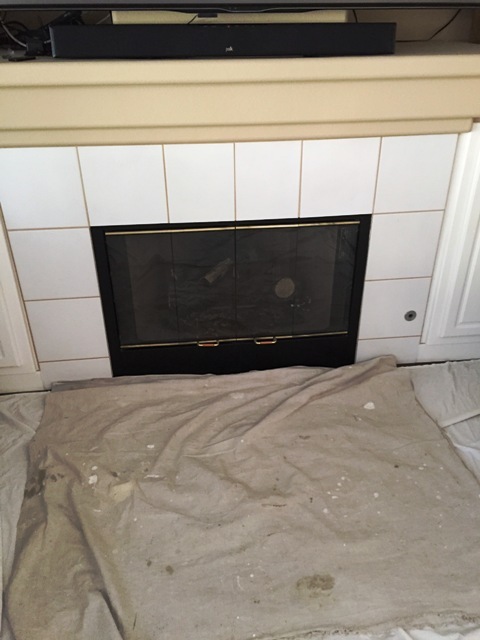 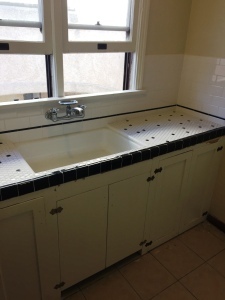 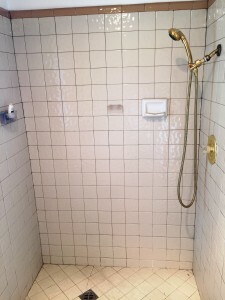 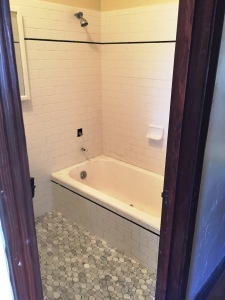 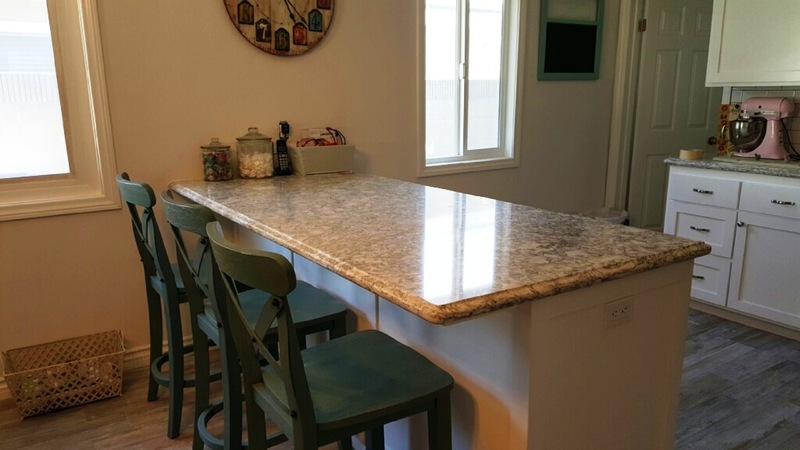 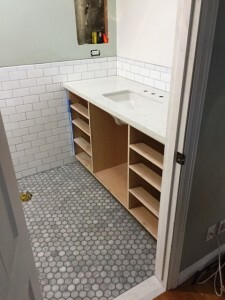 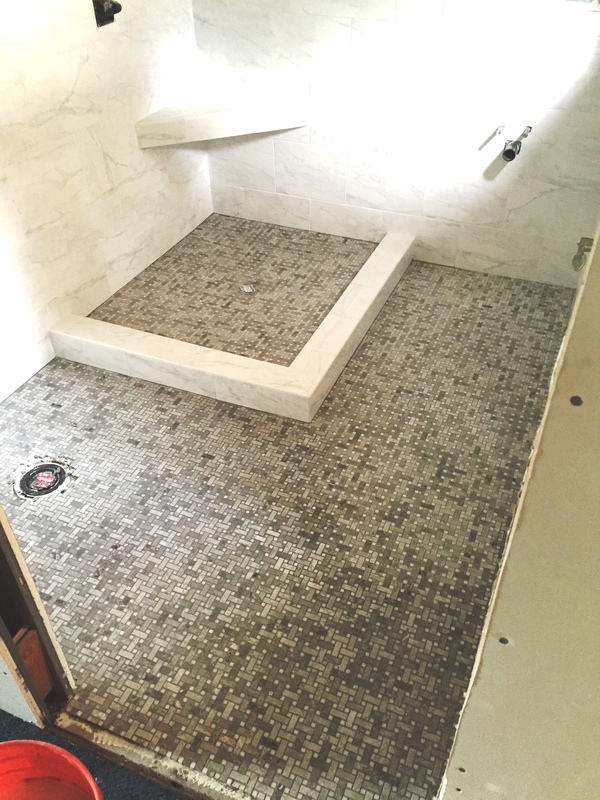 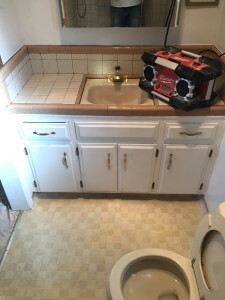 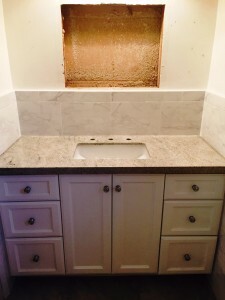 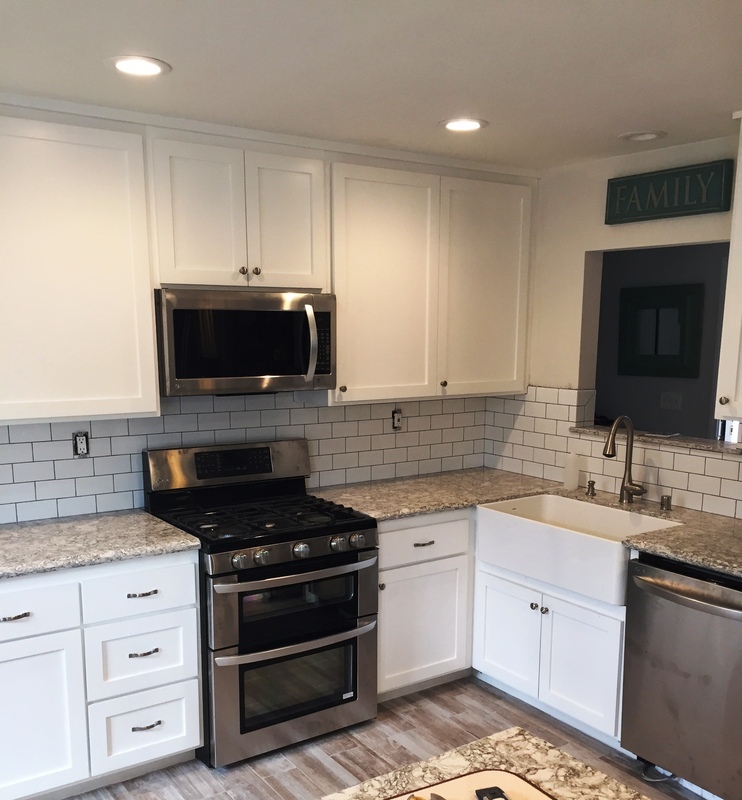 The installation went smoothly and the grout was applied and sealed the very next day. 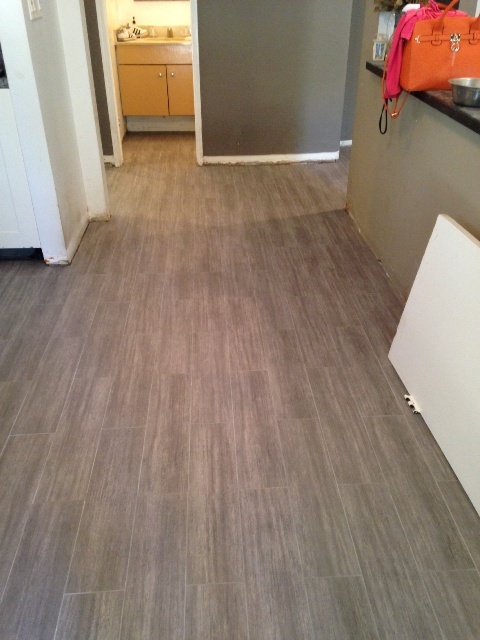 The tenant gets to enjoy their new kitchen floor. 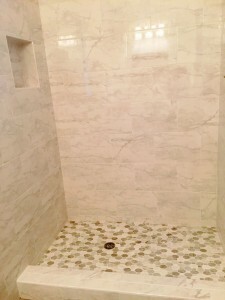 Bring traditions from Italy into your home Today!! 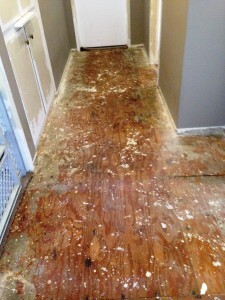 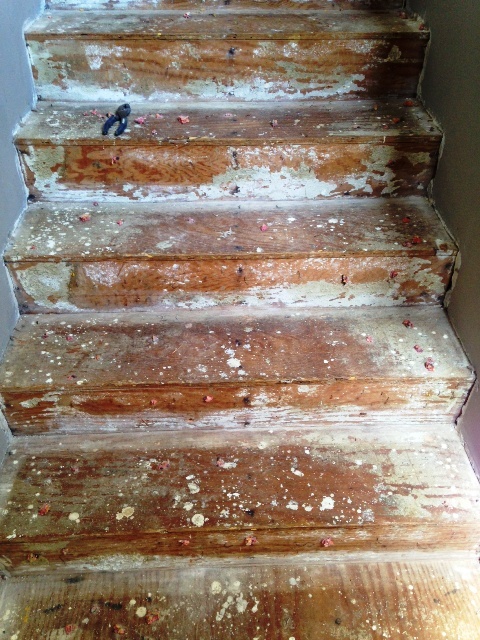 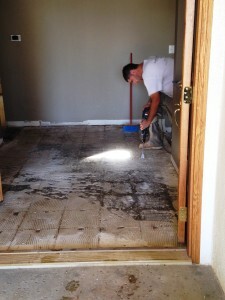 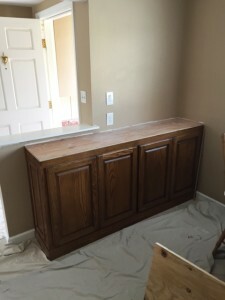 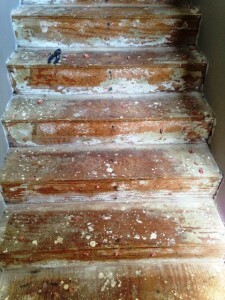 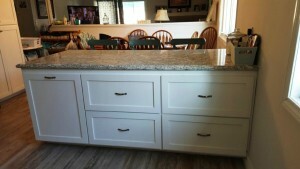 Call us at 1-855-699-2224 for a free estimate. 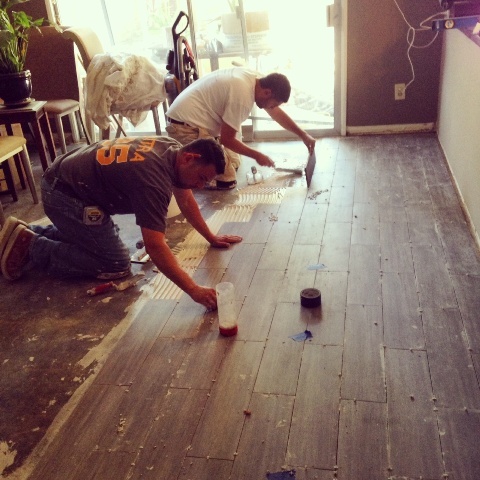 Servicing Orange County and surrounding Los Angeles and Riverside Counties.